When I was younger, I went to a street fair in my hometown. It was a sweltering hot day and one booth had what appeared to be ice cream bars. 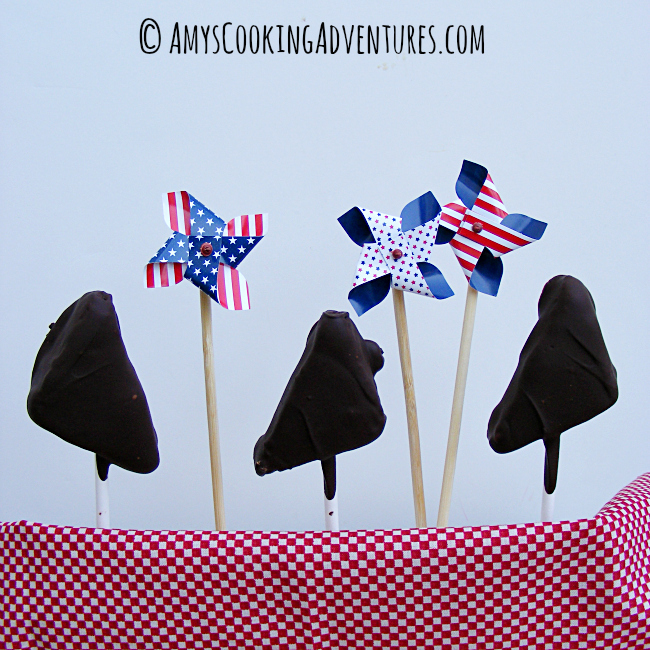 But when I got closer, I found it was actually chocolate covered cheesecake on a stick! I bought one and it was amazing! Fast forward years later and I was faced with some leftover cheesecake. 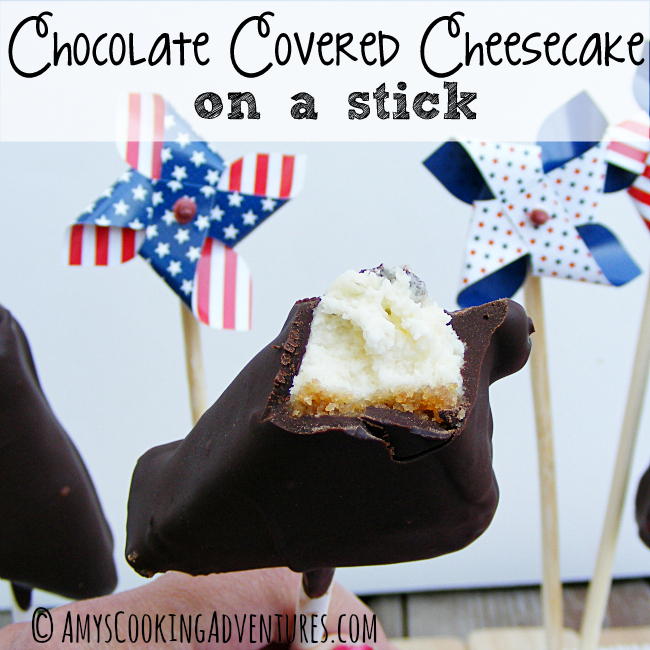 And I knew exactly what I wanted to do with it - - Chocolate covered cheesecake! It was everything I’d hoped it would be! Cut the cooked and cooled cheesecakes in half on the diagonal (alternately use thin slices of leftover regular sized cheesecake). Place a stick about half way through each cheesecake. Carefully wrap and freeze for at least 1 hour or until very firm. Dip the cheesecakes into the melted chocolate and place on a parchment lined baking sheet. Place the dipped cheesecakes in the refrigerator (or freezer) until firm. Enjoy cold and refrigerate leftovers.